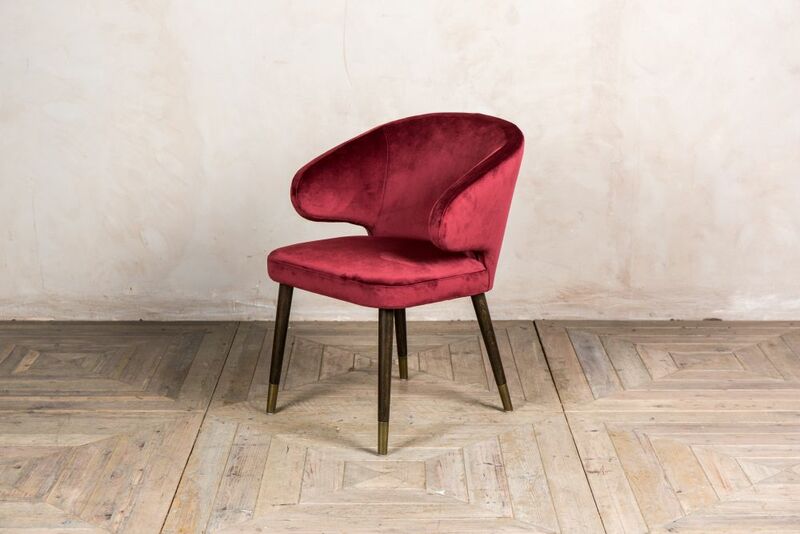 The ‘Lorient’ retro style dining chairs are a luxurious chair that will add elegance to any interior. 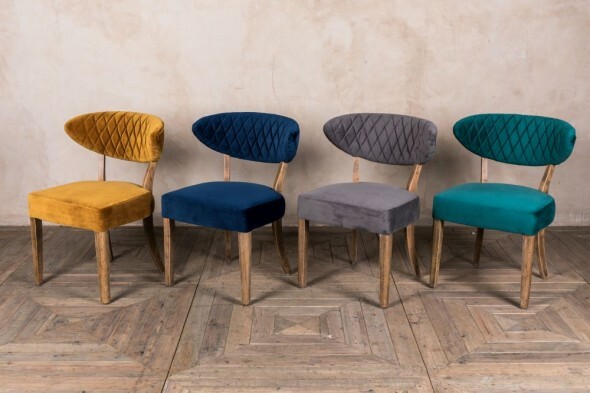 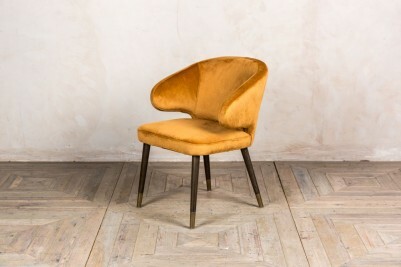 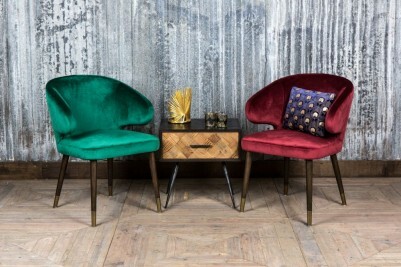 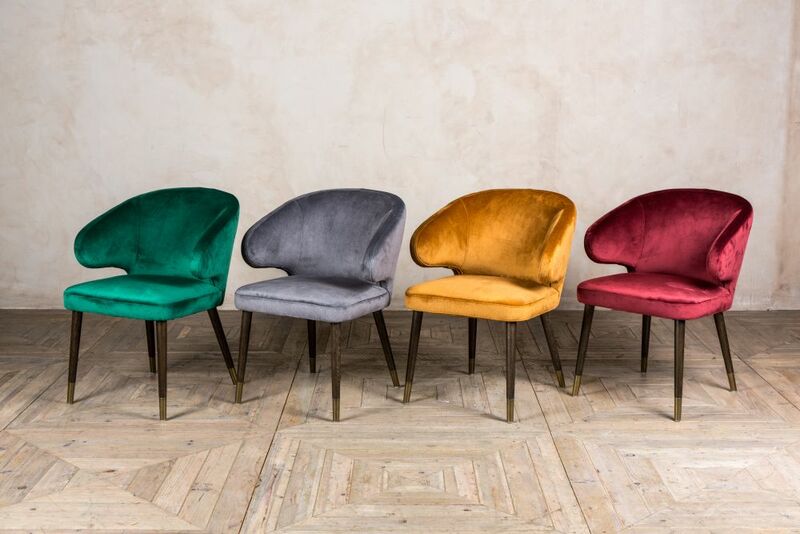 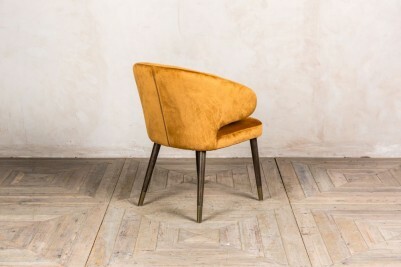 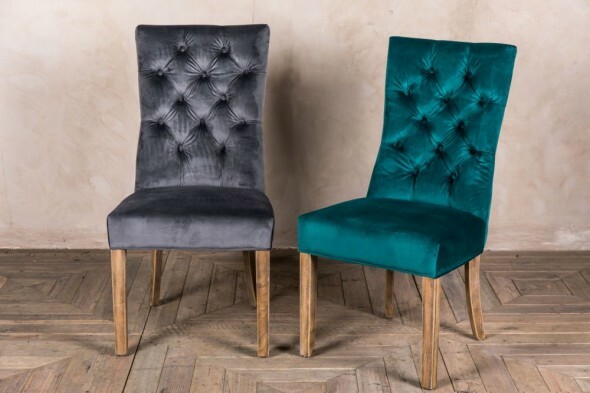 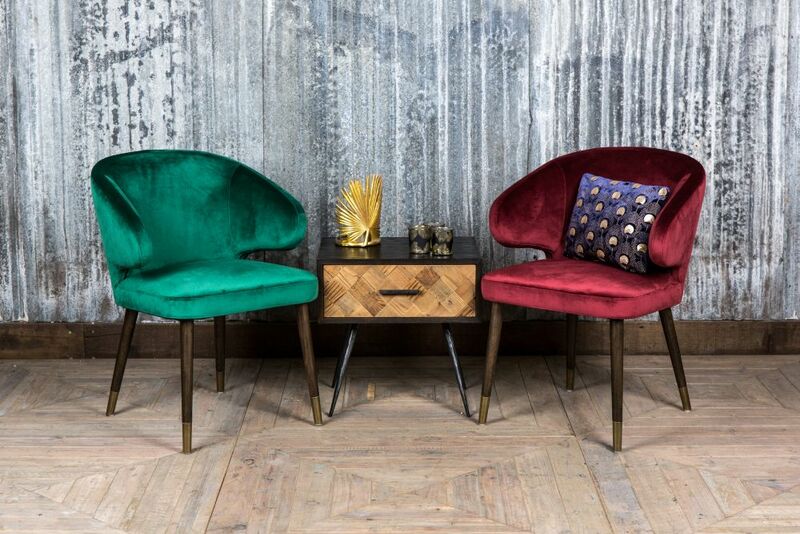 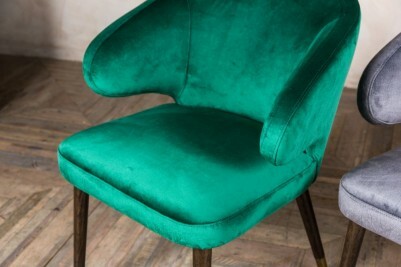 The chair is upholstered in velvet, and is available in four colours: ochre, pebble grey, dark green and red. 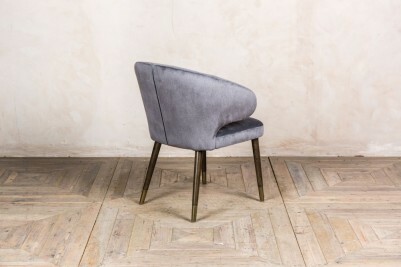 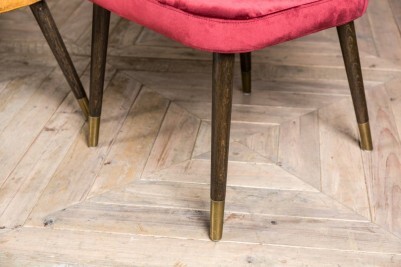 The legs of the chair are dark brown and brass capped. The chair is an unusual shape, with a back rest that curves into large arms. They would make a fantastic feature when styled around a table. 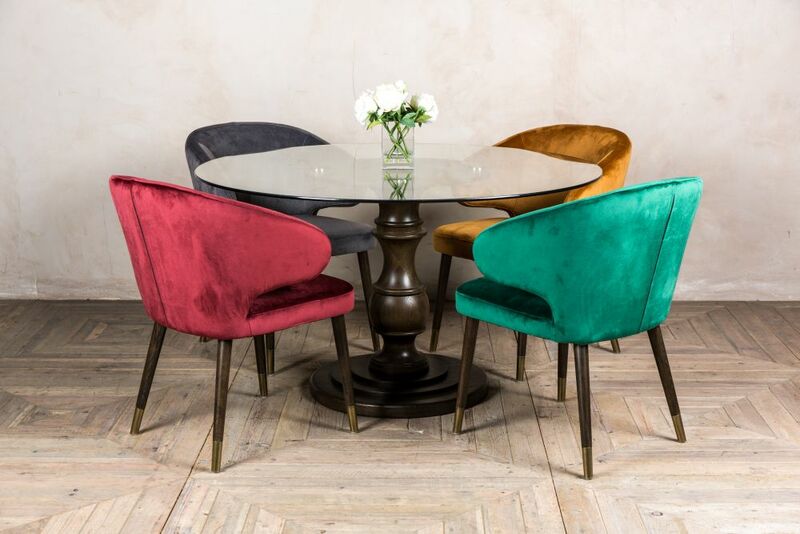 Please note that other items are not included but can be purchased separately. 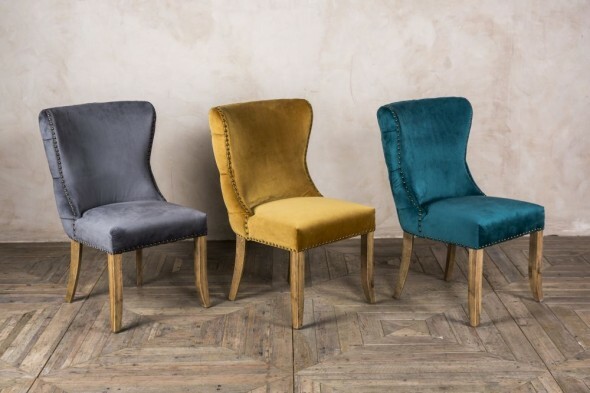 The 'Lorient' chairs have been Crib 5 certified. 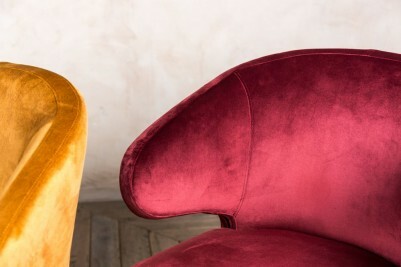 Certificates can be supplied upon request.